What about ways to add value that are on the more affordable side? Watch the video to see what we did specifically to add real value at little cost. 1. 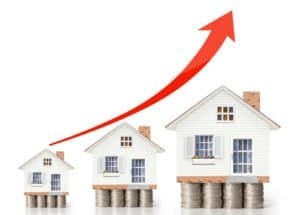 Increase the profit of the property. The first way to add real monetary value is to do something that increases the profit of the property. Increase rental revenue or decrease expenses—sounds like a simple way to add value, right? Well, it goes beyond that because although you are now enjoying more cash flow from your rental, you are also increasing its value through something called forced appreciation. Here’s how it works: Multifamily properties are evaluated based on cap rates. A cap rate equals the net operating income (NOI) divided by the value of the property. If you increase rents or decrease expenses, even by a small margin, your net operating income will go up. If your property is evaluated at the same cap rate, the only thing that can happen is your value goes up. Let’s run through a quick example. Let’s say you add 4 storage units to your property and lease them for $30 each, or $120 per month, which is $1,440 per year. Storage units arguably don’t have any noticeable expenses, so that’s all profit. If your property is evaluated at a cap rate of 10%, your value goes up by $14,440! Not bad, and I can tell you that 4 storage units cost quite a bit less than that, so it’s a great investment. 2. Create a sense of security for your tenants. The second way to add affordable value is to create a better sense of security for your tenants. If your tenants don’t feel safe where they live, they will move. It’s that simple. Creating a safe living environment can indirectly decrease your vacancy rate. If you make improvements to the property’s safety, make sure your tenants are aware of the upgrades. It will go a long way. Watch the video to see the affordable upgrade we implemented. The last way you can add some value is by putting in affordable amenities to your multifamily. There are big, expensive amenities you can add that work on large apartment complexes, such as pools and workout rooms. But remember, the point of an amenity is to make life easier on your tenants. It doesn’t matter how much it costs; it just matters that they use and appreciate it. In today’s video, you will see how we added an amenity and also created an additional revenue stream.